What is Good: Welcome baby Jesse! It all began Friday around midnight. I was having a contraction every fifteen minutes and they kept me up all night long. 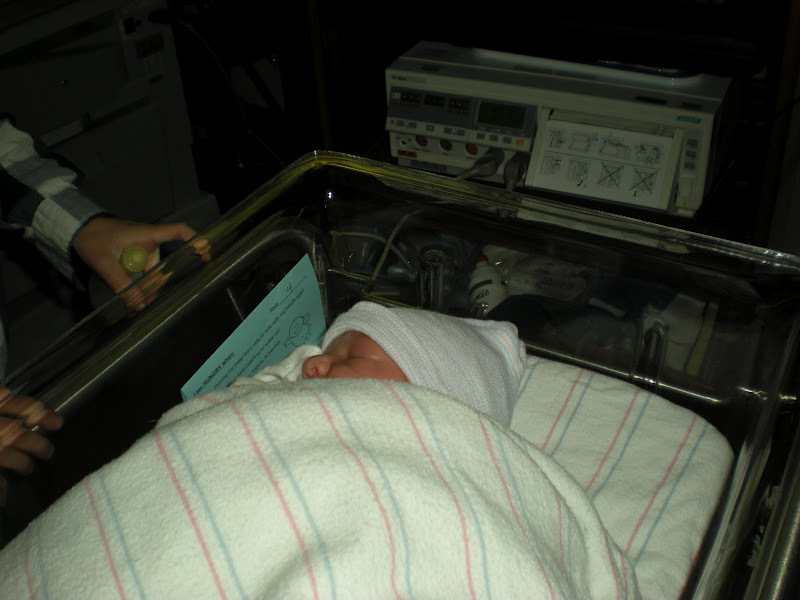 I finally dosed off around seven in the morning without any interruption from contractions until they began again at nine Saturday morning. They were becoming more and more painful but not close enough for me to feel like we needed to rush to the hospital. Andrea came over to see how I was doing and started timing contractions for me. Some were only 3 minutes apart so she took Alex and Isaac home with her for the night so that Dustin and I could go into the hospital to have our baby! We arrived at the hospital around seven Saturday evening. I was only 3 cm dilated and after two hours of no progress they sent me home. The nurse said to come straight in if my contractions became harder and closer together or if my water broke. Once we were back at home I couldn't sleep at all so I paced our living room, took a few baths to ease the pain during contractions and even straightened up the kitchen counters! Sunday morning I was sitting on our couch gripping Dustin's hand in pain refusing to go back to the hospital only to be sent home. My contractions were still not closer together than 15 minutes. Then at 8:30 suddenly my water broke! I'm so glad that happened because I might have had the baby right in our living room! That was our cue, Dustin took all of two seconds to grab the keys and rush me to the car. The moment my water broke suddenly my contractions became so strong and right on top of each other. Let's just say that the car ride to the hospital was extremely long (in reality it was only 15 minutes). I was in so much pain, I cried out to Jesus to help me! He did! We made it to the hospital just minutes before 9 and with strength from the Lord and coaching from mom and Dustin baby was born at 11:04am Sunday, February 26th! 7 lbs. 1 oz. 20 inches! 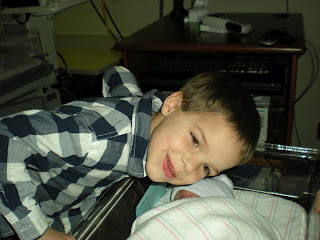 ﻿Despite being in labor for two days we still hadn't decided on his name! We thought we had time since his due date wasn't until March 1st. After staring at his precious face we decided on Jesse (not until filing out the birth certificate did we choose Christian for his middle name)! 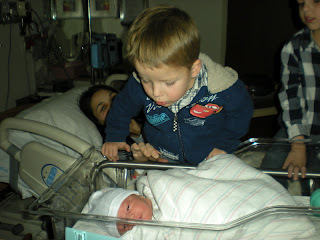 Just moments after baby was born big brothers arrived with Uncle Jacob, Aunt Annie and cousins Adin and Gabe.